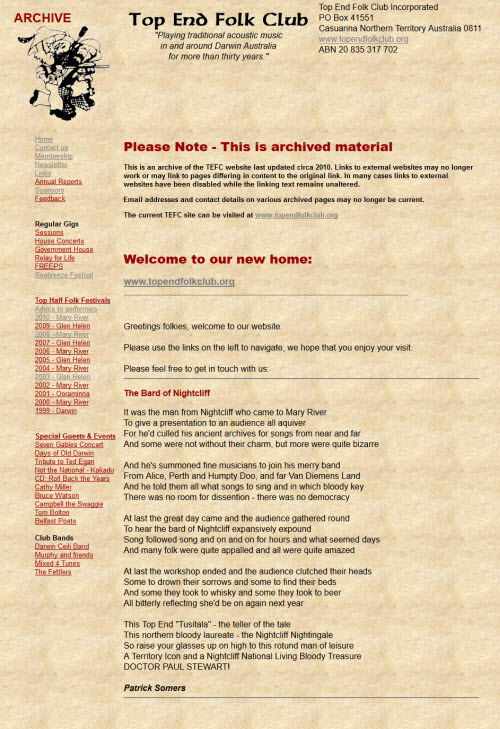 We have archived the previous Top End Folk Club website. It covers events from around 1999 to 2010. Click here to visit the old web site and learn more about the Club’s history.